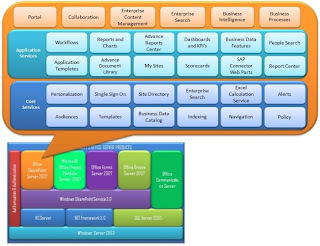 The Microsoft Office SharePoint Office SharePoint Server (MOSS) build on top of Windows SharePoint Service 3.0 (WSS). MOSS offers two editions Standard and Enterprise. Enterprise Content Management Content management was previously called Microsoft’s Content Management Server 2002. Now release with MOSS 2007. Enterprise Search New to MOSS 2007 ability to find relevant content in many different locations and formats. Search results that respect security permissions. Business Intelligence Provides a Report Centre template, Server calculations, web, rendering and Key Performance Indicator (KPI) lists and Web parts. Business Process Provides built-in workflow and allow you to create, maintain, and analyze custom workflows, helps you to streamline your collaborative processes. Provides Single Infrastructure for Intranet, Extranet, Internet, a common navigation across multiple sites and include some customized site templates. MOSS 2007 also allow you to create one or more customized template. MOSS Content Syndication feature allows you use Really Simple Syndication (RSS) feeds. Allow you to information from a variety of sources and keep update to date. MOSS My Site is a personal site for individual users. This is considered a top-level site. My Site has two type of pages My Site Page and My Profile. My Site Pages for user when he/she visit personal page. My Profile pages which all user can see. My Site allow user to store documents, link, pictures, alerts and RSS feeders. Provided aggregated view and help you categories as you wish. SharePoint 2003 by default created site collection when you create sites. MOSS 2007 you can able to list sub sites under site collection. This feature provides seamless integration for Navigation. MOSS 2007 also extended to add other site/page links to portal navigation. The People search offers unique way of finding other people not limited to only from department or Position, Location its search people with common interest, expertise in particular topic and from communities (Blog, Wiki). 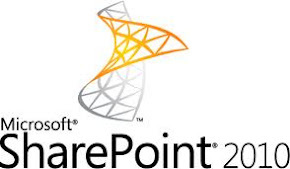 SharePoint provide Web Parts and improved display of the results specifically for finding other people. The privacy and security features allow the user to control, its allow you to view and permissions on the targeted content. Wiki Wiki means quick or fast in Hawaiian, The Wiki Site template provides teams to share and discuss information. Repository information that can be quickly and easily editable by team members. The Wiki site include pages, link and recorded history which help to restore deleted content. Blog is similar to journal entries, which enable an individual/group to quickly share information among employees. Add insight to a difficult subject area, provide inspiration and guidance, or explain a new guideline or procedure within organization also help people to provide comment on posts and provide links to related sites, photos, and blogs. A discussion forum is a web place where allow members to create content and respond to content created by someone. Basically discussions are collected in threads and organized by category such as subject, topic. For example, let say you want to discuss about Corporate development or HR related issue you can create discussion forum and create threads. Task Lists, which help you assign and track projects for individuals or groups. Project Task are similar to task lists. Project task provide visual or Gantt view with progress bars. Another type task is Issue tracking track the progression of events. Its seamless integration which allow you integrate nearly everything you use in Outlook into your My Site in MOSS 2007. SharePoint VPC image expire September 30.